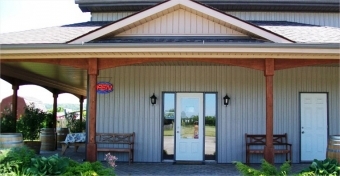 Family owned and run since 2002, Cornerstone is a producer of small batches of high-quality reds, whites, Icewines, fruit wines and our must-try fine port. Mainly based on Estate grown grapes such as Cab. Franc, Riesling, Gamay, Sauvignon Blanc, Chardonnay, and others. We have collected dozens of National and International Awards over the last 10 years.